African people from Bahia Brazil in 1840. 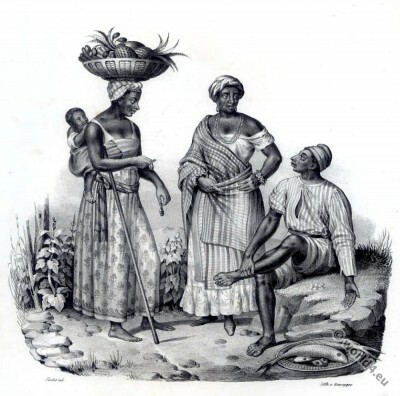 African people from Bahia Brazil. This entry was posted in 1840, 19th Century, Brazil, Latin America and tagged Natural History, Traditional Brazil costumes on 11/24/14 by world4. Botocudos Brazil. Aimoré or Nac-nanuk tribe. Aimoré or Nac-nanuk. 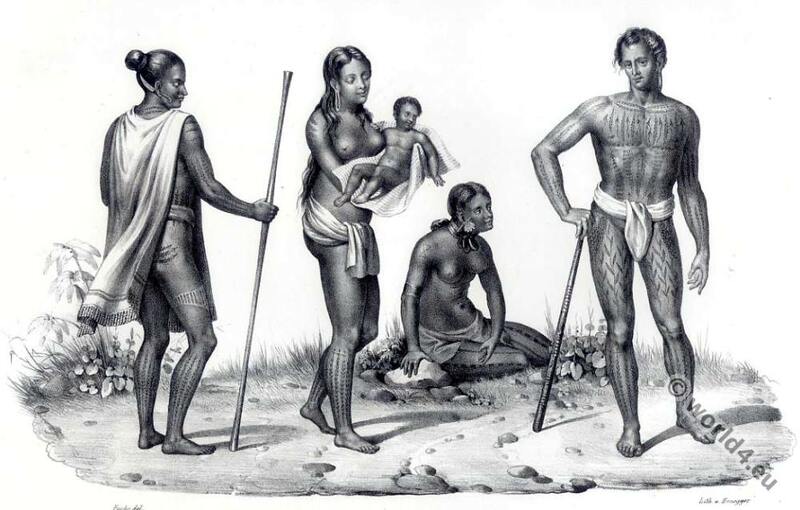 Botocudos Family from Brazil in 1840. This entry was posted in 19th Century, Brazil, Latin America and tagged Natural History, Traditional Brazil costumes, Tribal Costumes on 11/24/14 by world4. Inhabitants of the Caroline Islands. 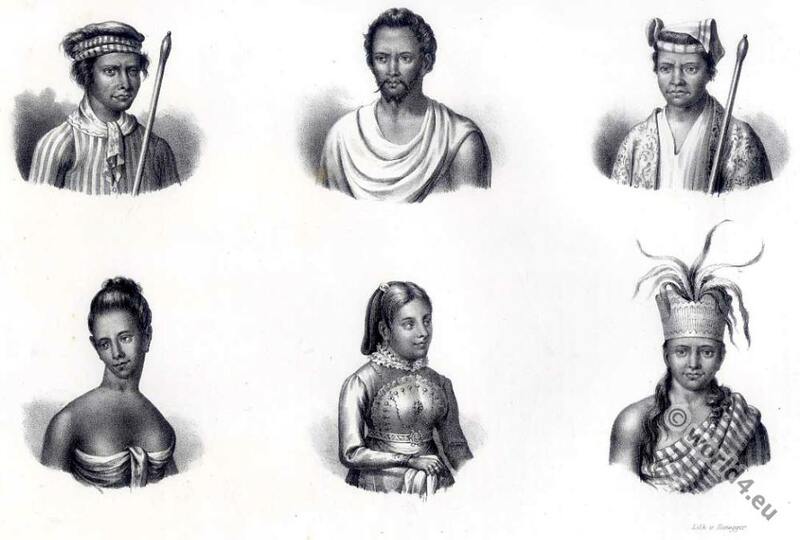 Inhabitants of the Caroline Islands in 1840. From the book: Natural History and pictures of the people and the different races and tribes according to the latest discoveries and most exquisite original research, edited by HR Schinz. Honeggersche Lithographic Institute, 3. Advanced ed. 1845 Zurich. 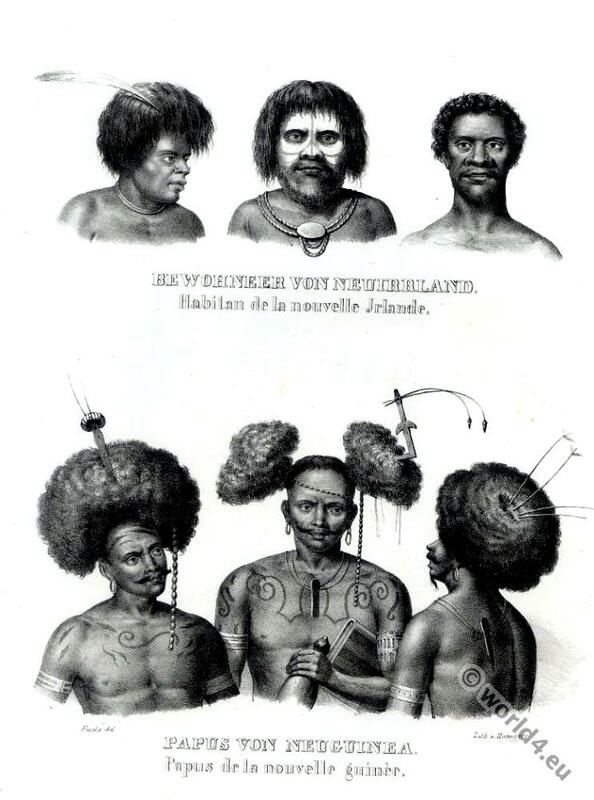 This entry was posted in 1840, 19th Century, Caroline Island, Oceania and tagged Natural History, Tattoo, Traditional Oceania costumes, Tribal Costumes on 11/24/14 by world4. Upper class Chinese nobility costumes in 1840. This entry was posted in 19th Century, Asia, China, Nobility and tagged Natural History, Traditional Chinese costumes on 11/24/14 by world4. 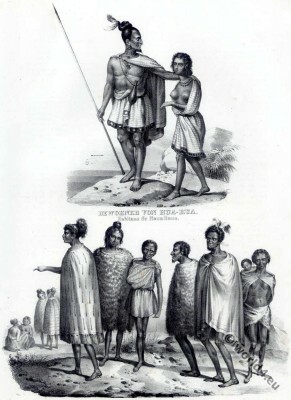 Maori people of New Zealand in 1840. 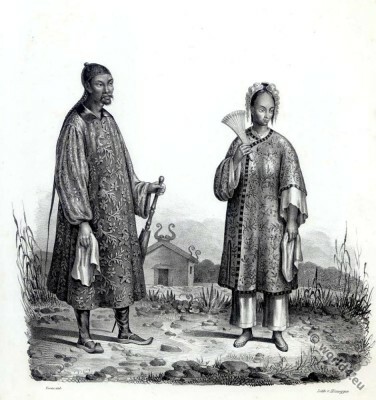 Above: Peoples from Hua Hua. Below: Maori people of New Zealand. This entry was posted in 19th Century, New Zealand, Oceania and tagged Natural History, Traditional Maori costume, Traditional New Zealand dress on 11/24/14 by world4. 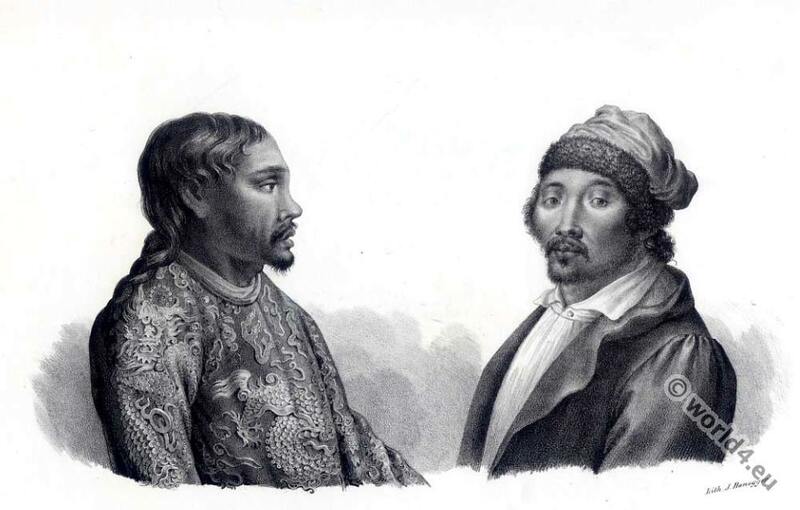 Mongol Tatar prince and Feodor Iwanowitsch in 1840. This entry was posted in 19th Century, Asia, Mongolia, Nobility and tagged Natural History, Traditional Mongol costumes on 11/24/14 by world4. 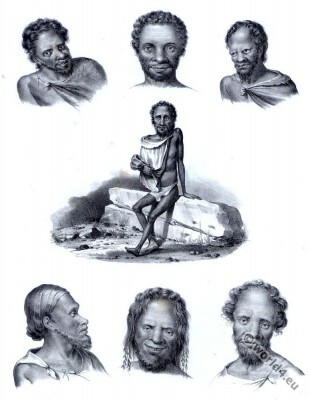 Types of Australian aborigines in 1840. 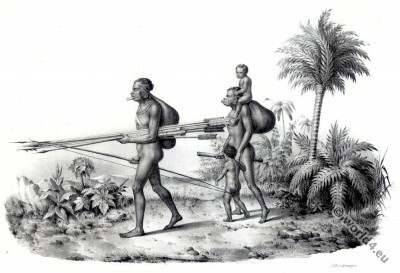 This entry was posted in 1840, 19th Century, Australia, Oceania and tagged Natural History, Traditional Australian costumes on 11/24/14 by world4. 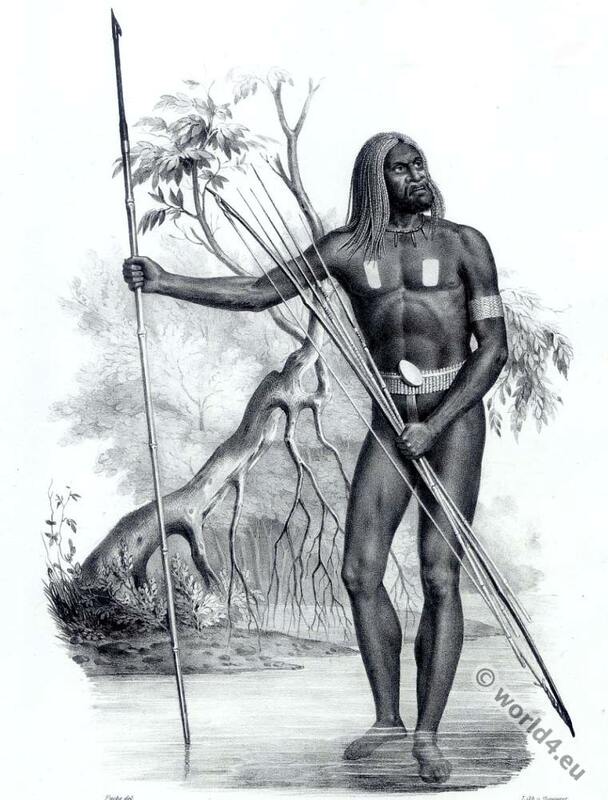 Indonesia, Papua New Guinea warrior costume in 1840. This entry was posted in 1840, 19th Century, Asia, Indonesia and tagged Indonesian costume, Natural History on 11/24/14 by world4. Warriors of Papua New Guinea, Indonesia. 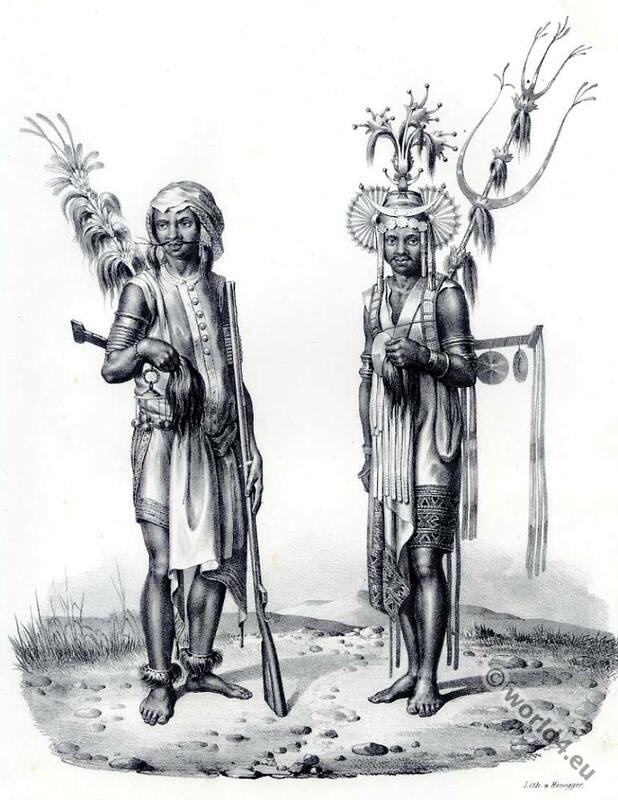 Traditional Indonesia Papua New Guinea warriors costumes in 1840. Traditional Indonesia Timor islands costumes in 1840. Warrior costumes of the Timor islands, Indonesia. Warrior costumes of the Timor islands, Indonesia in 1840.